If you want to know whats going on in Hull’s City Centre then take a look at the “Events” section of Hull BID’s website. 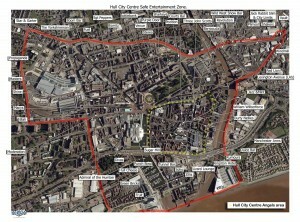 This map shows Hull’s “Safe Entertainment Zone” or “SEZ”. 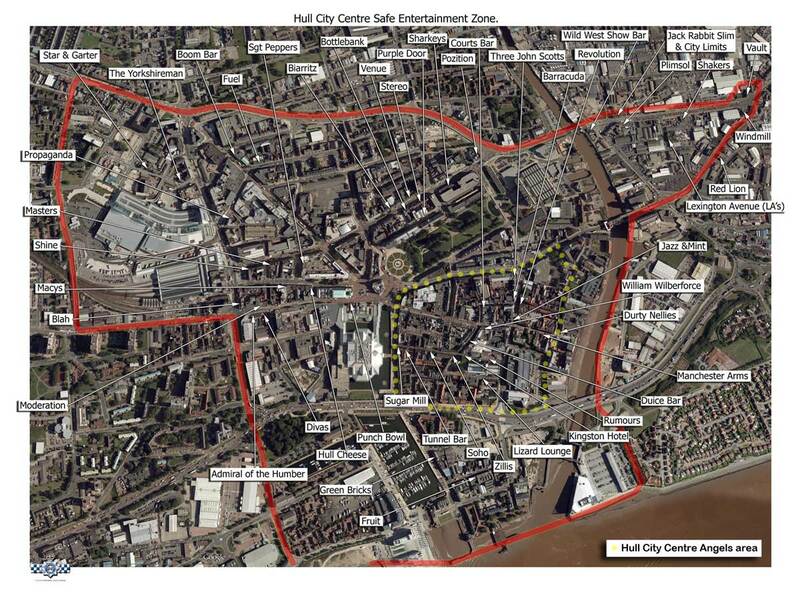 The “SEZ” is the area of Hull which contains the majority of the night time economy and so is the focus of the emergency services during the evenings and night time. This should reassure you that if you are using Hull’s night time economy, the emergency services will never be far away. This map also has an added bonus in that it shows you where all the bars and clubs are so you can navigate your way around the City Centre and in true sea-faring fashion – never get lost!